Fort Worth, TX – ID Technology, powered by Pro Mach, a leading manufacturer of quality label and tag products, has recently installed a new HP Indigo WS6600 Digital Label Press in ID Technology’s facility in Pewaukee, Wisconsin. Short Run Specialty Labels – Digital press technology prints direct to media. No plates, less setup time and less waste provides an economical solution for custom short run labels with faster turn-around times. High Quality Images – High resolution printing, better color gamut, and perfect registration creates crisp, clear images and life-like colors. Variable Data Printing – Opens up new creative possibilities for customizing labels. Each label can be different with each impression. You can add names from a database, consecutive numbers, multiple barcodes, or even print multiple versions of the same label. Often an ideal choice for serialized barcodes and warehouse location labels. Design Flexibility – Market testing with various colors, text, or graphics are possible without committing to label minimums. About ID Technology ID Technology is one of the largest label converting companies in North America and operates label manufacturing plants in Texas, Wisconsin, Georgia, California, New Hampshire and Ontario. Labels and tags made by the company complement its lineup of prime and print-apply labeling equipment, allowing the company to offer customers a complete product identification solution. ID Technology also provides thermal transfer, inkjet and laser coding & marking systems for many applications. 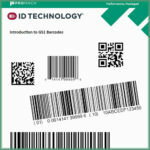 For more information about ID Technology, call 888.438.3242 or visit our website at www.idtechnology.com.